…On the Heart marks the sophomore release of Toronto-based quintet Wildlife and with the help of acclaimed producers Peter Katis and Gus Van Go, they have created an album that’s both ambitious and grand. What immediately stands out is the accessibility that …On the Heart presents. Radio-friendly songs such as “Born To Ruin” and “Dangerous Ruins” feature soaring guitar crescendos and pummeling drums to hook-in a mainstream audience. And the synth-driven, handclap-happy, and toe-tapping numbers such as “Bad Dream” and “One For The Body” are enough to get your typical indie scenester to dance awkwardly at cheap cialis no prescription a show. “Don’t Fear” is a haunting number that features strings by Bon Iver’s Rob Moose, who adds another layer of grace to the melancholic keys and soft percussion. Highlight “Lightning Tent” encapsulates the album’s greatest characteristics: catchy-as-hell vocal melodies, euphoric sing-song choruses, and genuine, introspective lyrics about what the heart can do on a dynamic level. And not to mention that vocalist/guitarist Dean Povinsky’s countertenor sounds eerily similar to Band of Horses’ Ben Bridwell. 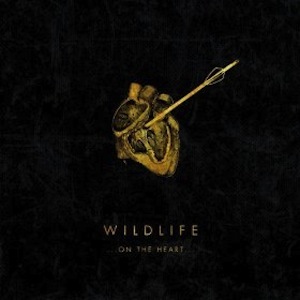 This album is proof that Wildlife is bursting with potential to become a headline act – albeit sooner than later.